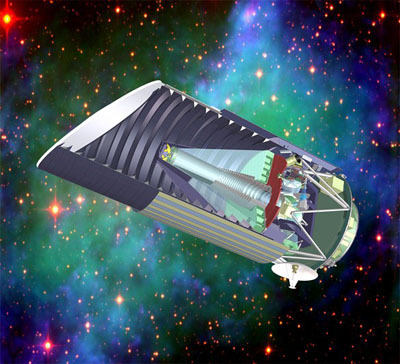 When launched, the Supernova Acceleration Probe (SNAP) will study the effects of dark energy by surveying distant type Ia supernovae and making detailed measurements of weak gravitational lensing. With the new Large Hadron Collider (LHC) at CERN nearing full completion, experimentalists will soon be able to test certain elements of String Theory. While not definitive, these tests will cast some light upon the theory's parameters and may even provide clues into the identity of dark matter. Meanwhile, theorists continue to investigate the implications of String Theory for Big Bang cosmology, particularly the effects of strings on cosmic inflation. As particle physicists eagerly await the results from the new LHC, observational cosmologists are busy developing astronomical experiments, such as the Supernova Acceleration Probe, to explore the fundamental questions posed by the existence of dark matter and dark energy. Here are a few of the more famous telescopes and observatories known for combing the Cosmos. Roll over a picture for more information. Are there undiscovered laws of nature? Is there a Grand Unified Theory (GUT)? What happened before 10-44 seconds? Why are there so many different kinds of particles? And in the end, who knows, maybe you will be the one to solve the mysteries of the Universe!